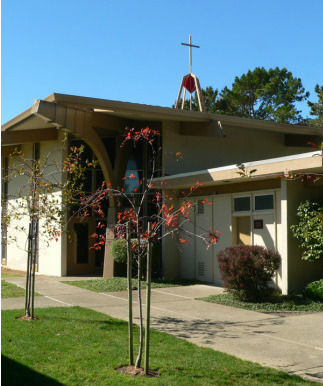 We're located at the corner of Camino Alto and Sycamore Avenue in Mill Valley, across the street from the Mill Valley Middle School. Our facility is available to non-profit organizations for rental. Please contact David Erskine at 415-710-3563 or daviderskine@comcast.net for information. View Larger Map" TARGET="_blank">View a map here.